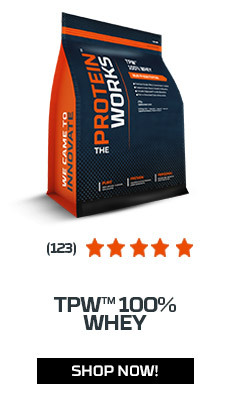 Here at The Protein Works™ we are passionate about protein. 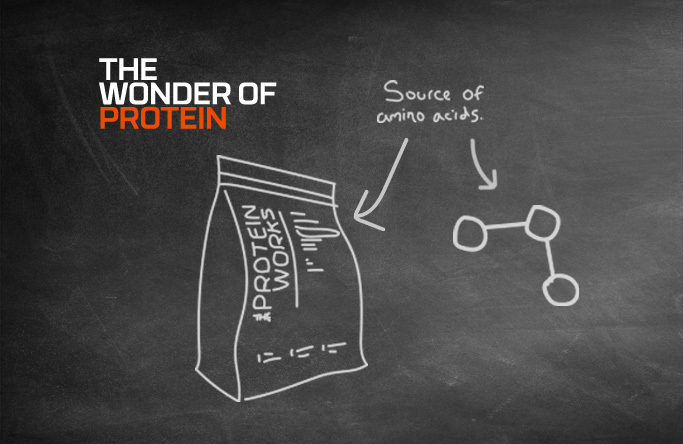 From whey protein to soy, hemp and hydrolysed, we've put together 15 facts you might not know about protein. 1. 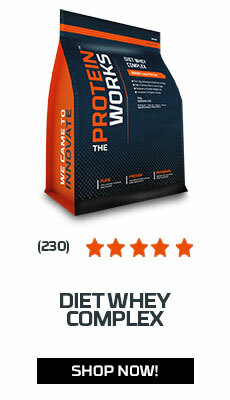 Whey protein can be used for many different processes in the body, including muscle contraction, growth and repair. 3. 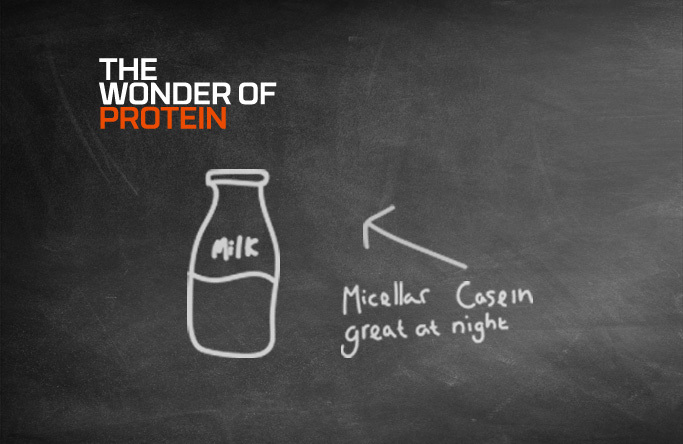 Micellar Casein has a very different absorption rate to other proteins, and is instead slowly absorbed by the body. This unique property of Micellar Casein means having it before bed helps to drip feed protein and amino acids to the muscles throughout the 7-9 hours you are sleeping. 4. Whey Protein Isolate in liquid form gets directly into your system faster than whole food, which is ideal for recovery during that "magic hour" post exercise. 5. Soy Protein is from the soya bean, a legume that contains no cholesterol and is naturally low in saturated fats. 6. The human body has thousands of different types of protein and is needed to carry about nearly every chemical reaction in the body. 7. Vegan diets tend to be higher in dietary fibre, phytochemicals, minerals and vitamins and lower in calories and saturated fat. So we make our Vegan Protein from 5 of the finest dairy-free proteins. This includes soya protein isolate, sunflower protein, white hemp protein, pea protein isolate and brown rice protein that are blended in an optimal ratio. 8. Hemp Protein is a raw plant protein that contains all 8 essential amino acids and is considered both a great substitute and a great complementary protein to animal proteins. 9. The protein in eggs is the one of the highest quality of protein found in any food. 10. Isolated soy protein is easily digested by the body with a digestible rating of 95-98%. 11. Hemp Protein seeds, from which Hemp Protein is made, are rich in essential nutrients including magnesium, potassium, chlorophyll, sulphur, phytosterols, ascorbic acid, beta-carotene, calcium, fibre, histidine, iron, potassium, phosphorus, riboflavin, niacin and thiamine. 12. To be considered as a “complete,” protein, the component must contain all nine of the essential amino acids in almost equal amounts. 13. 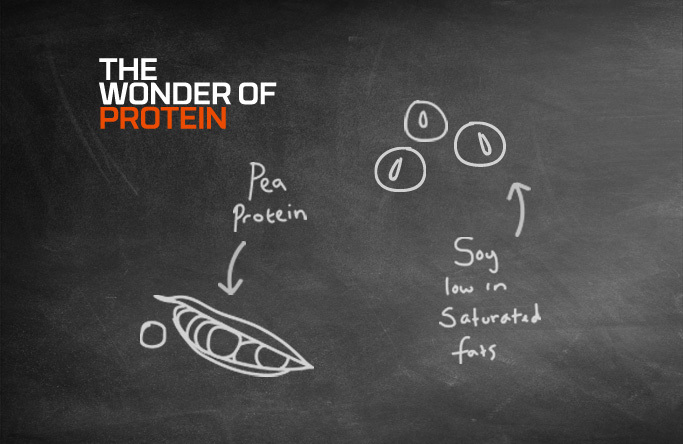 Pea Protein has an extremely good amino acid profile, close to that of milk and egg protein sources. 14. There are two main proteins in milk, one is whey and the other is milk. 15. Hydrolysed Whey Protein is made through a process known as hydrolysis. This is where the protein chains are broken down into smaller segments called peptides which results in a much smaller protein particle size.